When Microsoft ventures into something, you know its going to be the best and the biggest. 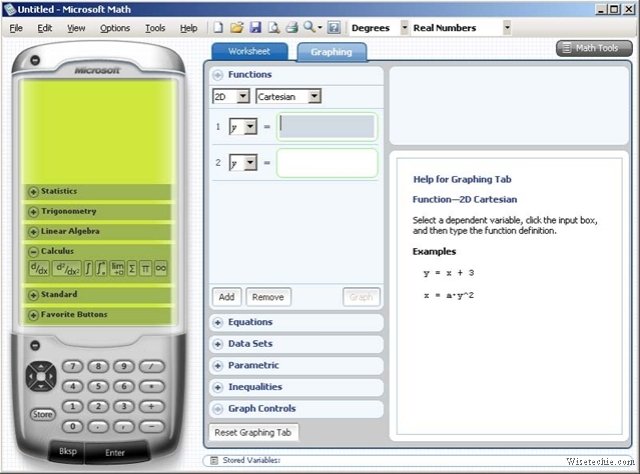 So this Graphing calculator was no different. The Graphs come out pretty well, and are easy to understand with tracing features. Click on graph for a better view of it. I know what you are saying, 2D graphing is for newbies, 3D graphing is for engineers. 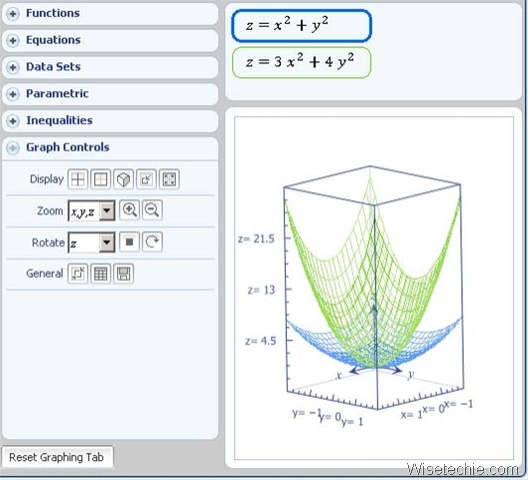 I wish that i had got this thing before, i could have understood multiple integration much better using the tools provided, the 3D graphs can be seen as wire frame or Filled color. 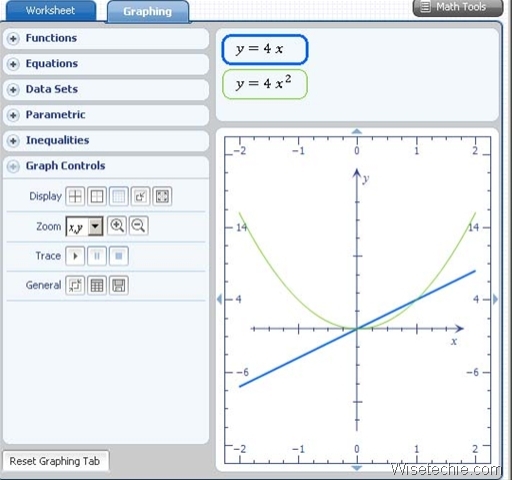 The graphs can also be zoomed into from various perspectives and rotated. All in all , a great tool to understand complex 3D math. Click for a better view of the Graph.